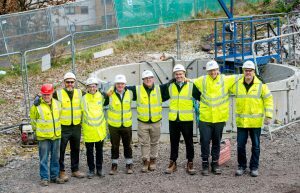 A state-of-the-art tunnel boring machine called Tunnelling Tanya has reached a significant milestone and ‘broken through’ in Paisley ahead of the completion of Scottish Water’s major investment to improve water quality and the natural environment in two local rivers. 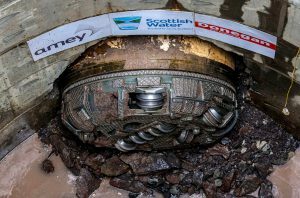 The TBM broke through in the town’s Saucelhill Park after completing the final section in the middle of a one-mile-long sewer, or waste water tunnel, under the streets of Paisley in the £17m project. Tunnelling Tanya, and one other TBM before her, have been constructing the tunnel since autumn 2016 as part of the project, which also includes the installation of Combined Sewer Overflows (CSOs) in the town centre. She broke through at the bottom of a 65 feet deep shaft when the cutting head removed the final pieces of earth and rock along the route. 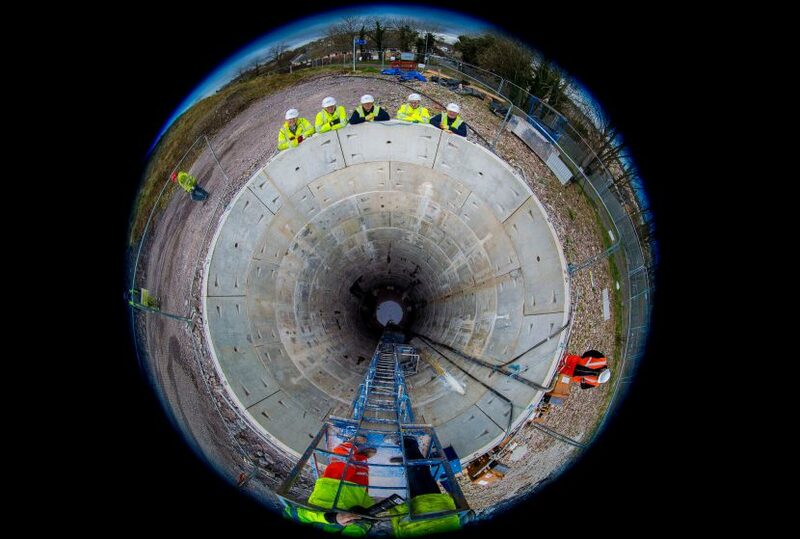 We have experienced significant engineering challenges during the tunnelling and this has meant the work took longer than we had originally anticipated. But we have overcome those challenges and I’m delighted that we have now completed the tunnelling. These areas will be reinstated so that the infrastructure is invisible and the landscape is restored to the condition it was in before the work started.